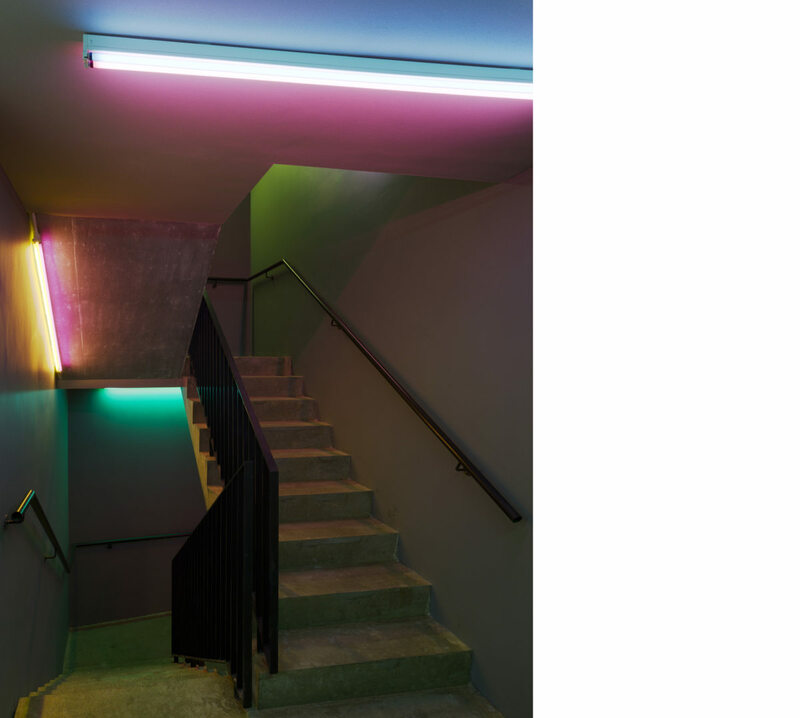 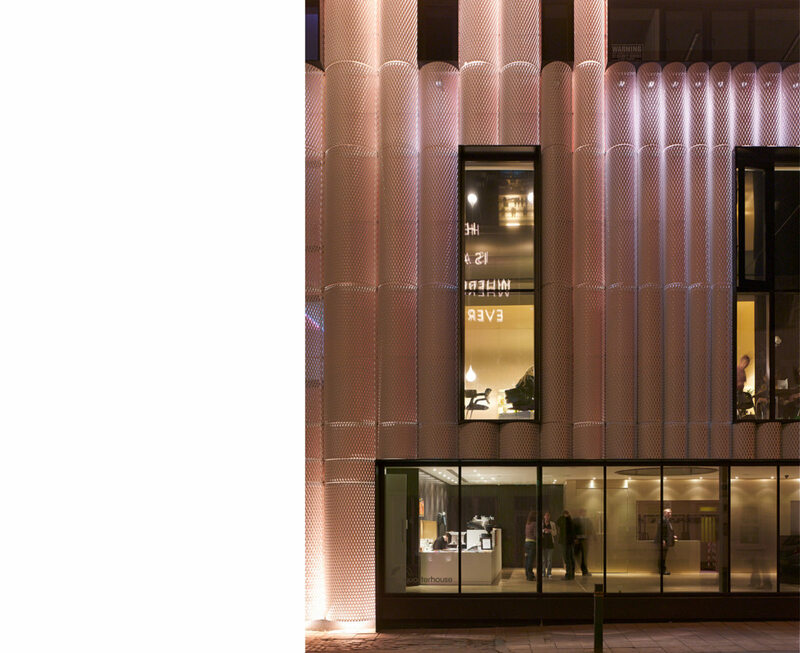 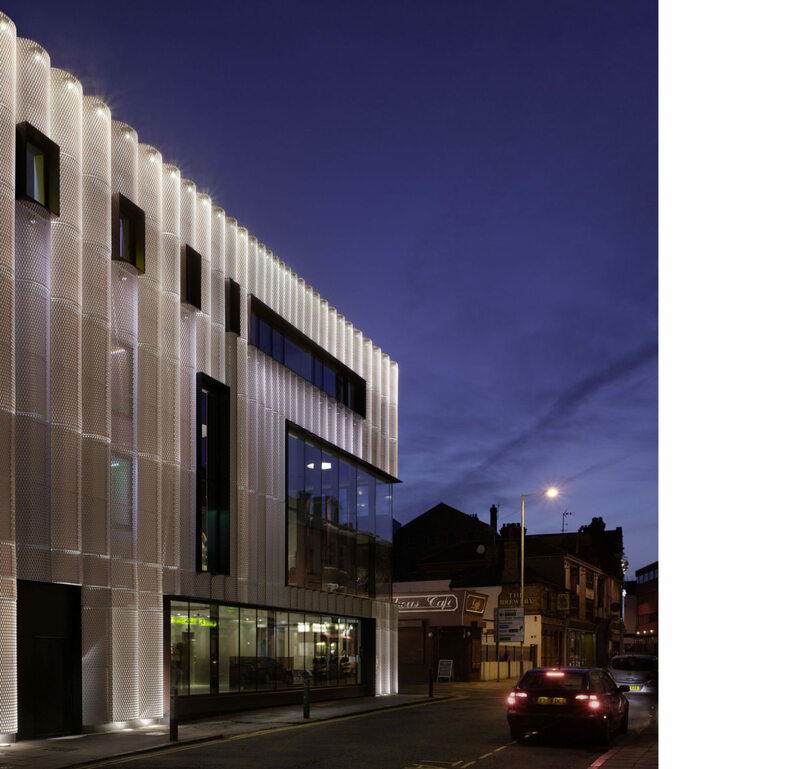 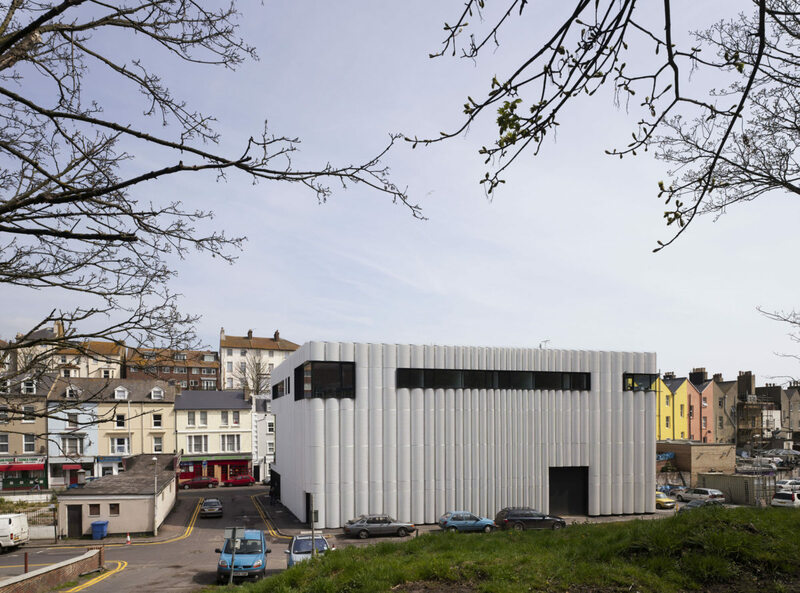 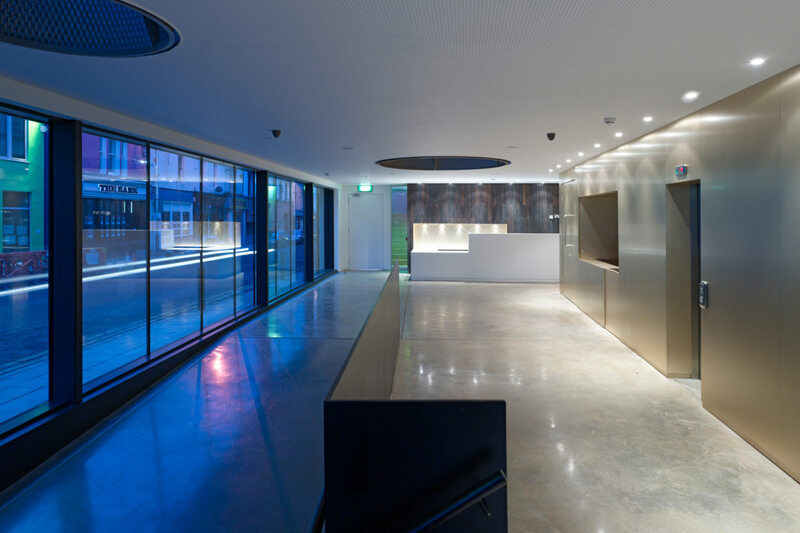 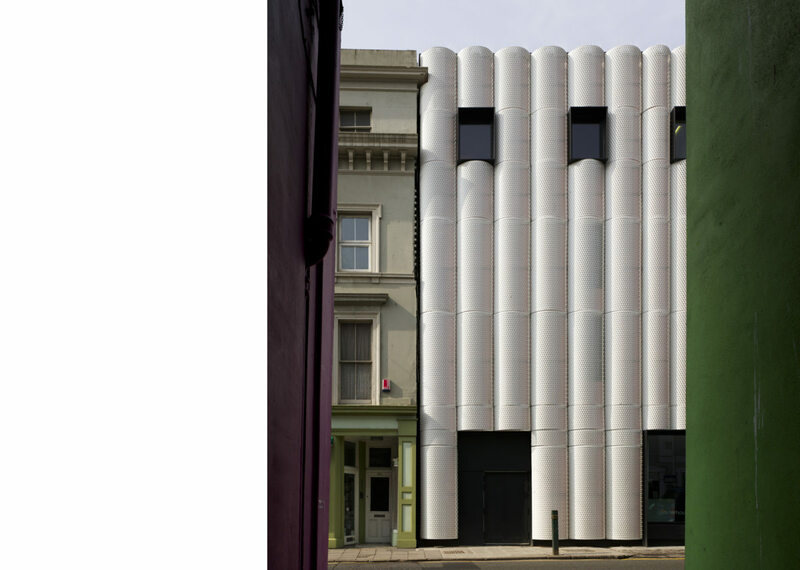 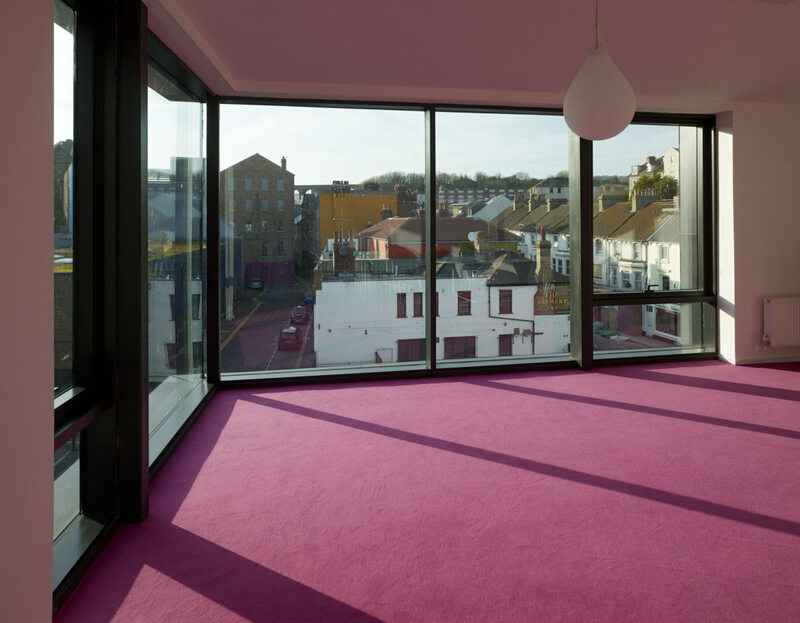 This 1550 m² performing arts & business centre is a key element of the arts-led regeneration of Folkestone spearheaded by client the Creative Foundation, a charitable trust. 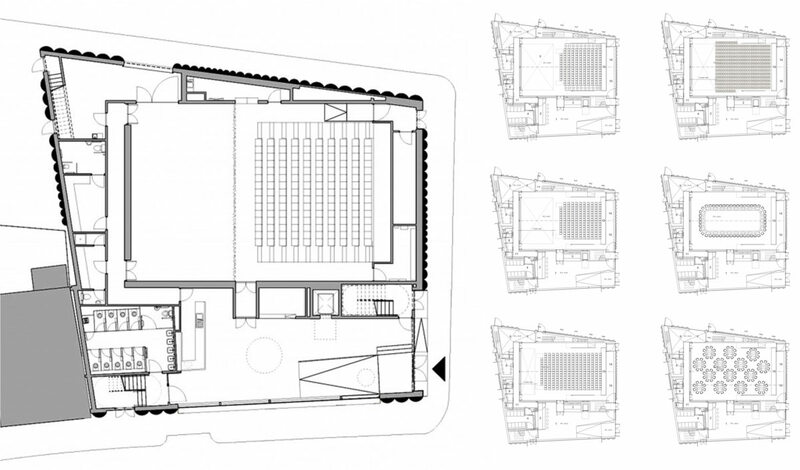 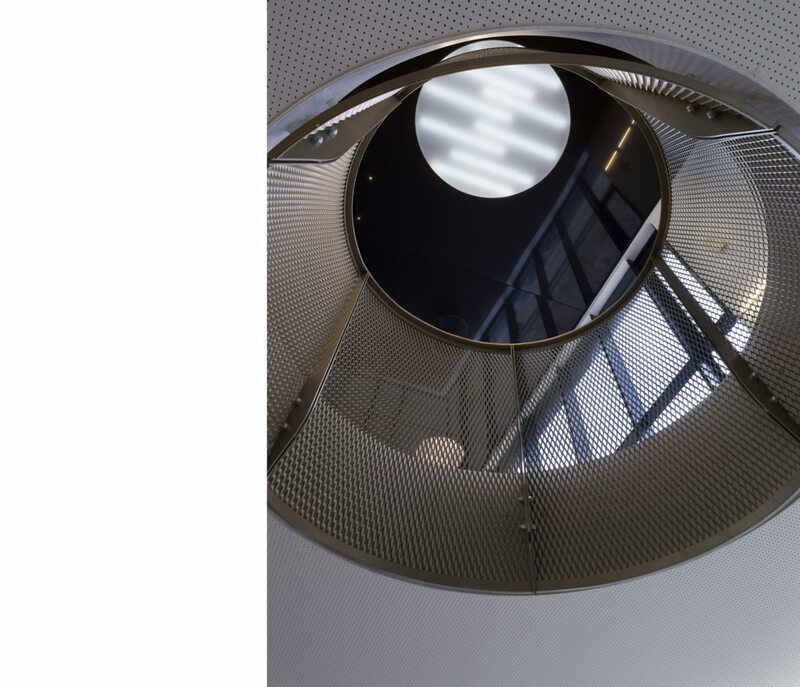 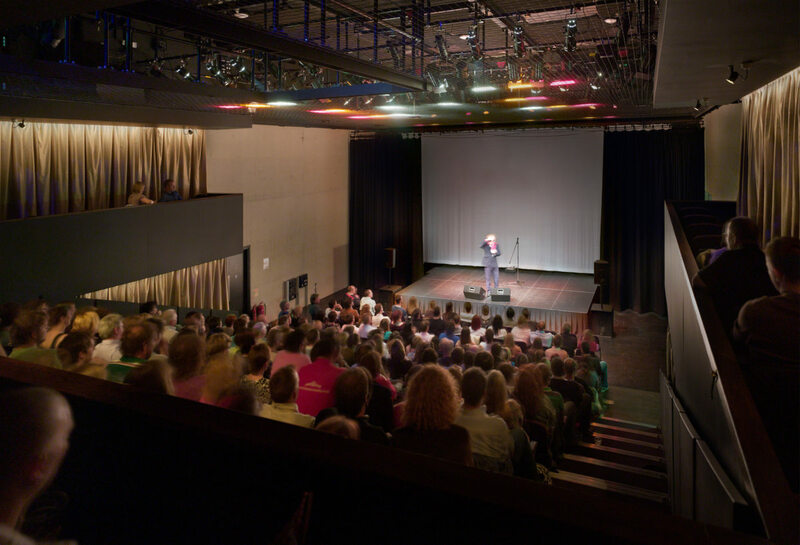 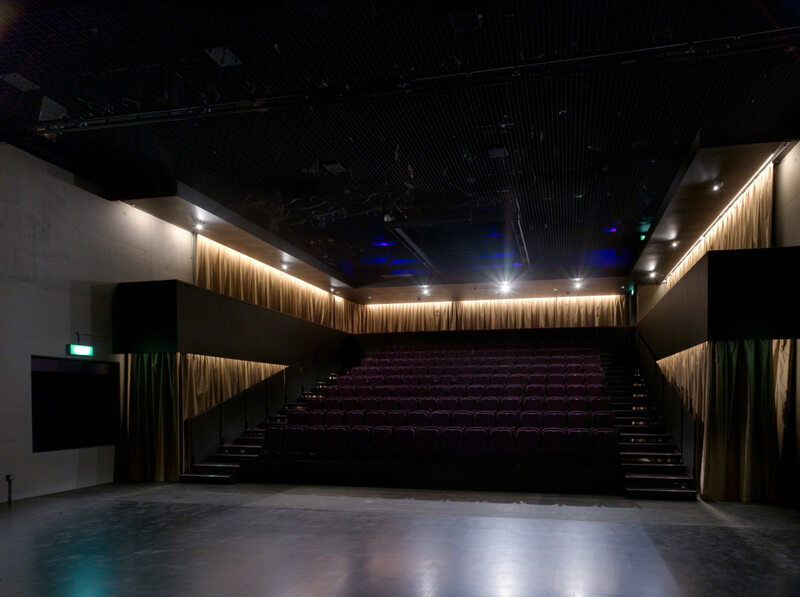 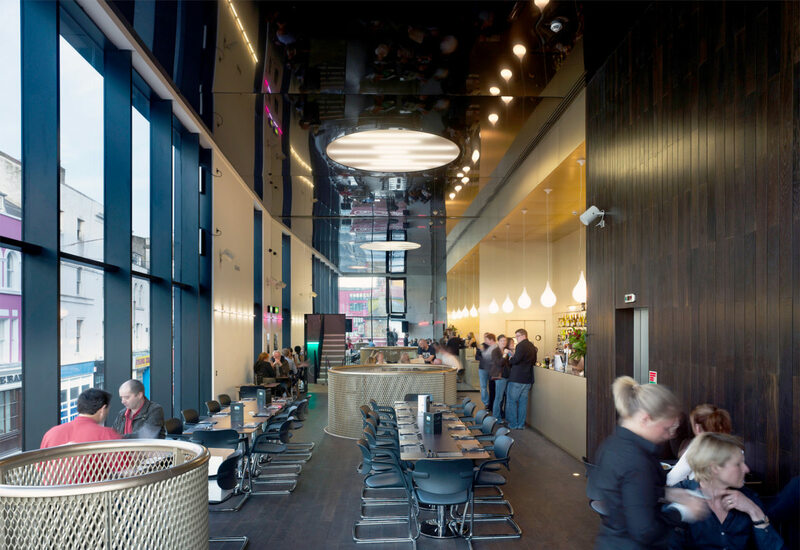 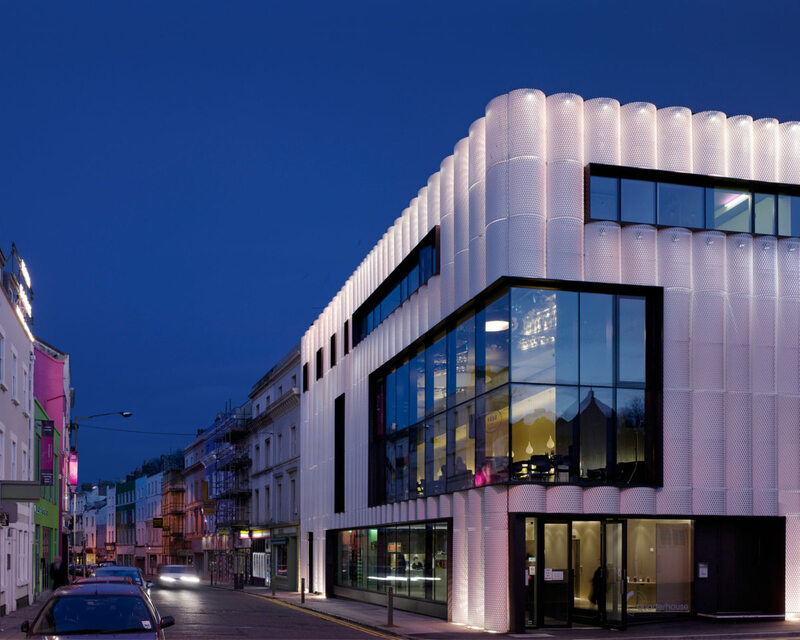 The Quarterhouse includes a 220 seat, 500 standing multipurpose auditorium for music, dance, theatre, film performances and conferences; ground floor foyer and exhibition space; first floor cafe/bar and a top floor business enterprise centre. 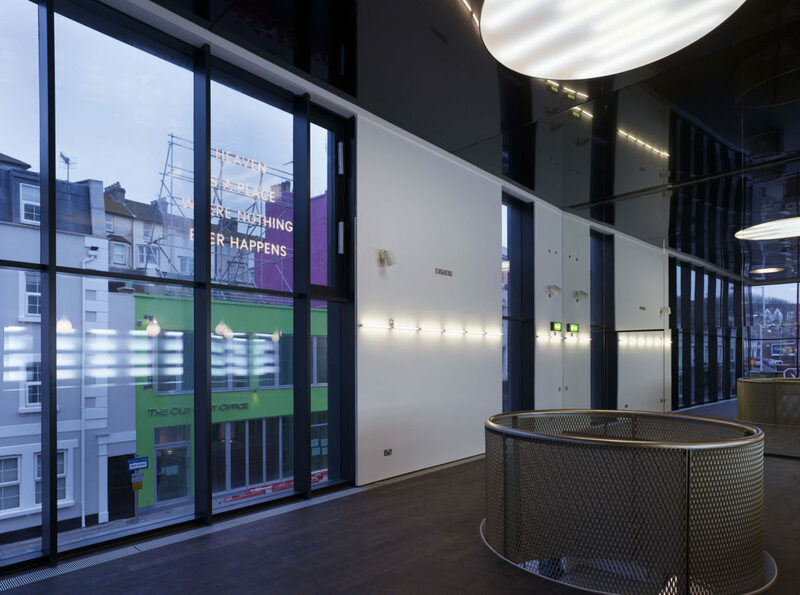 Alison Brooks Architects won the two stage national competition for the design of the Quarterhouse in December 2005. 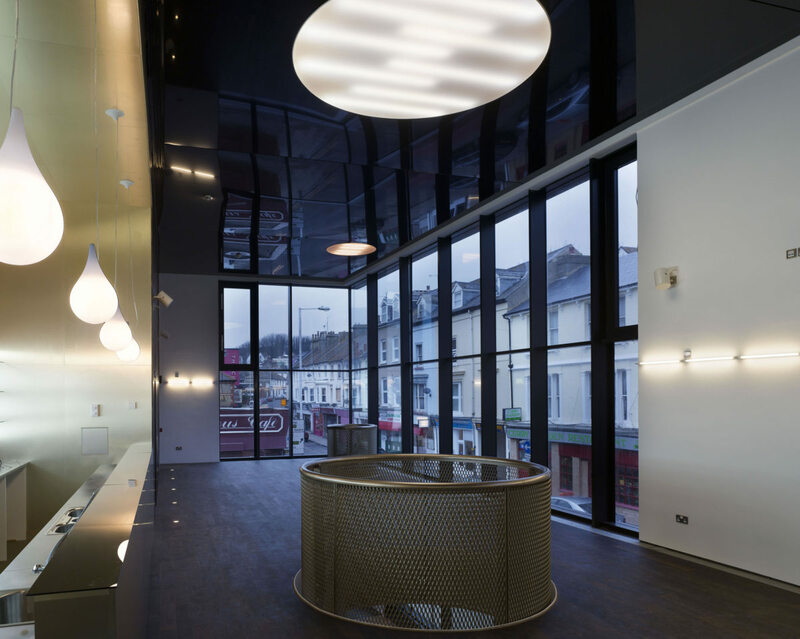 The design was developed through 2006, started on site in early summer 2007 and completed in February 2009. 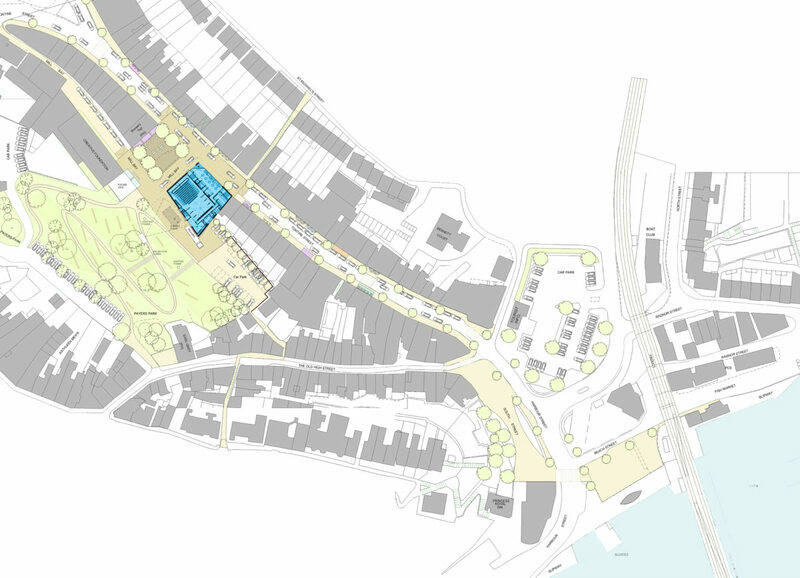 Funding for the project has come from a £3.5M grant from Kent County Council with a further £500,000 from the South East England Development Agency (SEEDA). 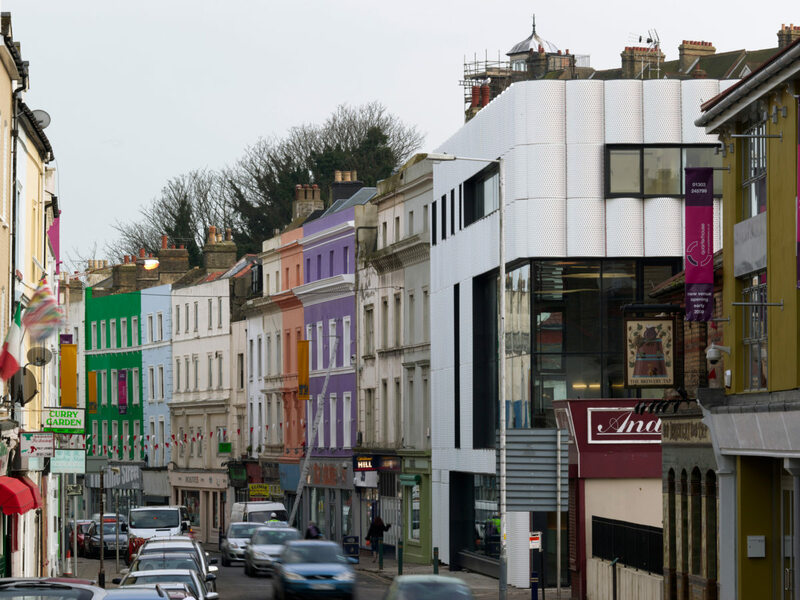 The Quarterhouse was conceived as both a ‘beacon’ announcing a new cultural hub for Folkestone, and as a modest ‘bookend’ building completing the curved east facade of late Georgian buildings that form Tontine Street. 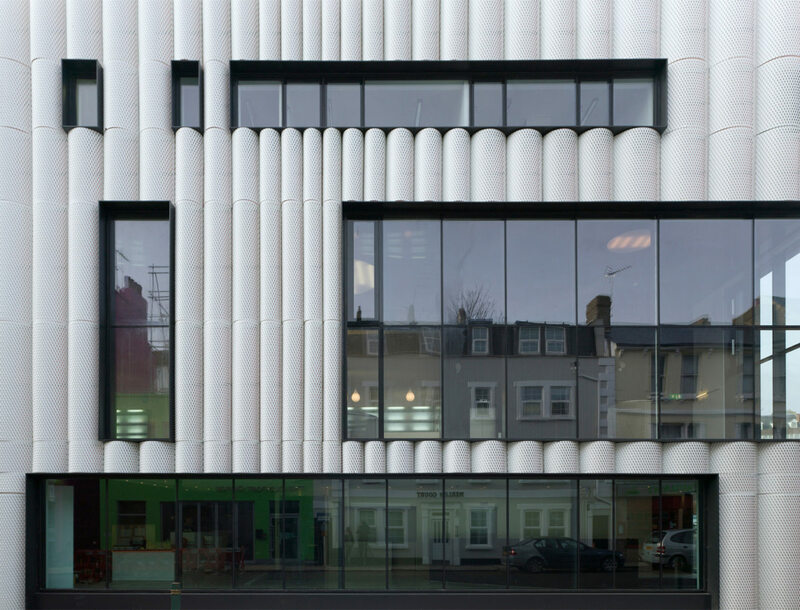 The building’s most prominent feature, the fluted mesh cladding illuminated from behind at night, took its inspiration from both the maritime iconography of Folkestone – scallop shell window pediments and seaside town paraphernalia – as well as the fragile and translucent texture of the scallop shells that arrive in Folkestone’s harbour every day.